When it comes to a coastal vacation, it's the shores of Florida, the busy beaches in Myrtle Beach, or the miles of shoreline along California that you most likely consider first. While these destinations have plenty of exciting opportunities, there's one coastal retreat that offers just as much to do but is often overlooked. The Washington Coast stretches across the border of Washington state, where it meets the ardent waters of the Pacific Ocean. This rugged coast is lush with beaches, quaint small-town restaurants and endless outdoor activities that will keep you entertained throughout your vacation. Soak up the sun on the shore, rejuvenate your senses on a hike through the Olympic National Park and discover something entirely new. Small-town charm and rich maritime heritage awaits in this popular Olympic Peninsula destination. 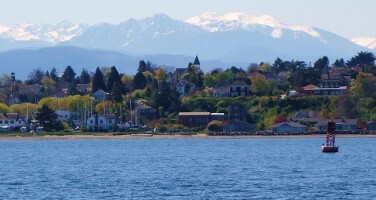 Port Townsend serves as the ideal home base for your peninsula adventures, whether it’s enjoying the beautiful surrounding beaches or exploring the historic Victorian homes and buildings throughout town. Nicknamed the “City of Dreams” by its earliest residents, Port Townsend truly does offer a little of everything to make your wildest imagination come true. Indulge in their burgeoning culinary scene, take out a boat from the Point Hudson Marina, and visit the historic Manresa Castle, built back in 1892. Or, hike through the Olympic National Forest, and visit Fort Worden, where you’ll find over 12 miles of beach and forest trails. Port Townsend might be small Washington town, but the possibilities that await you here are larger than life. Experience an incredible trip to a Washington Coast winery at beautiful Whidbey Island. Only a short ferry ride from the Seattle area, Whidbey Island is a charming getaway from the hustle-bustle of the city where the breathtaking views and relaxing rural setting will rejuvenate you on your vacation. The Whidbey Island Winery first planted grapes back in 1986 and opened to the public in 1992 with only 400 cases of wine available. Today, they produce over 3,000 cases a year including favorites such as Pinot Noir, Cabernet Franc and Sangiovese! Nature-lovers are in for a treat in the Washington Coast. 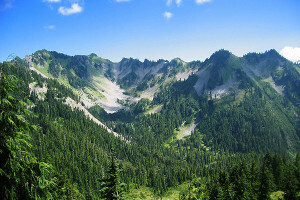 The Olympic National Park is a haven for outdoor adventures for travelers of all ages. Encompassing nearly one million acres, this breathtaking destination features a variety of unique ecosystems, glacier-capped mountains and rugged rivers that wind through the lush forests. The park is truly a hiker’s paradise, with miles and miles of trails and plenty of campgrounds where you can spend the night out under the stars! The Washington Coast is full of wonderful beaches after beaches, ranging from rugged wilderness shorelines to soft sand beaches perfect for relaxing. All of them offer truly spectacular views and Shi Shi Beach is considered one of the most beautiful destinations on the coast. Hike out onto the cliffside and try out the trek down the steep slope to the sandy shore where you can set up a tent, relax, and let the soothing sounds of the waves lull you to sleep.